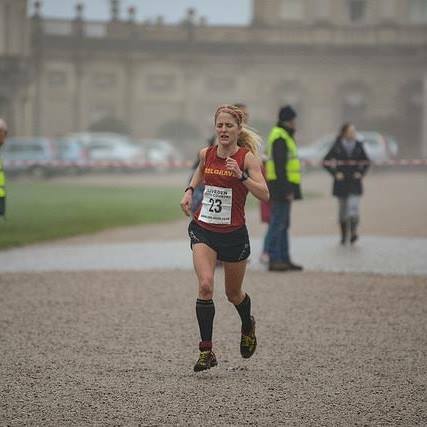 Always one of my favourites on the calendar as it’s tough at the start of the New Year but well organised and love the fact you get to race around the National Trust grounds. The morning was crisp, a chill to the air and the rain started enroute to the race and then light rain as the race commenced. Unusual race and something you do not get the privilege to run and to add to the fun the crazy 174 steps on loop 1 and loop 2 before pushing to the line. Not sure what has got into me but still got this lingering cold and coughing up mucus and feeling whacked. With Alex deciding not to run and knowing I need to tot up the miles decided to hitch a lift with my friend Trevor with the plan to run home. Not feeling particularly fit the gun went and I sped out on the drive and pushed myself round in the light rain and mist. It felt comfortable just harder with a tight chest and believed my time would be down. I always find with the steps being so wide hard to get into the rhythm losing a fair bit of time. Surprised myself although being chased by the 2 female. Not feeling particularly fit the gun went and I sped out on the drive and pushed myself round in the light rain and mist. It felt comfortable just harder with a tight chest and believed my time would be down. I always find with the steps being so wide hard to get into the rhythm losing a fair bit of time. Surprised myself although being chased by the 2nd lady to remain in first place and sprinted for the line in 40:18 my fastest time on the course and despite heavy on the foot conditions. Pleased to say a 5th win, course record and a PB.